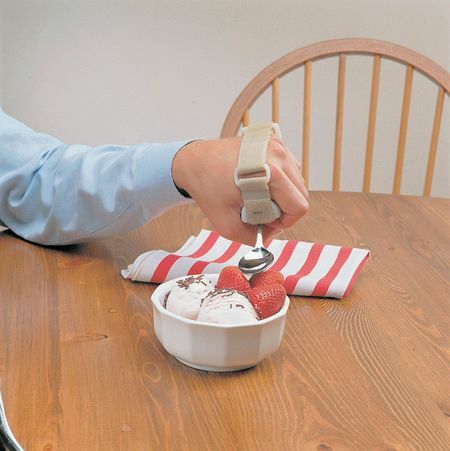 Weighted Easy Grasp Utensil Holder Makes Eating Easier. Another smart innovation supplied by Active Mobility Centre, this item is an easy to grasp weighted utensil holder. 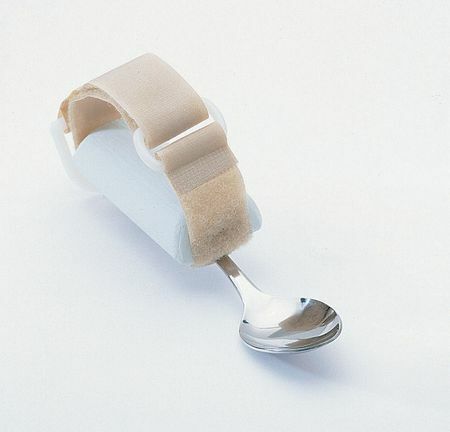 With a plastic cone shaped base that fits snugly into the palm of the hand, this is of particular use to people suffering with tremors - the 226g weight contained within the base helps provide extra stability over traditional utensils. 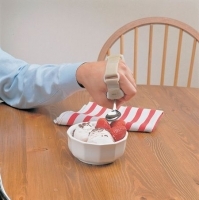 Designed to angle away from the palm of the hand to make eating easier, the hook and loop fastening enables the holder to be adjusted to fit most hands.